Pinterest, despite still being an invitation only site, is continuing to grow at pretty impressive rates, with the most recent spike seen in the past 6 months. 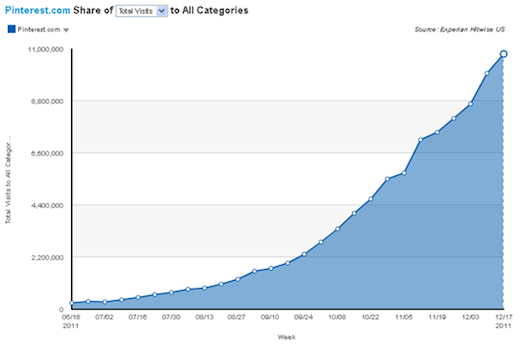 According to statistics announced by Hitwise, the social image bookmarking site received nearly 11 million visits during the week ending December 17, which is a staggering 4,000% increase in comparison to visitor statistics 6 months earlier in June, when it only had around 275,000 visitors. While at first glance the site might appear to be female dominated, it’s interesting to find that the statistics reveal that the gap isn’t as large as we would have expected, with women making up 58% of the visitors to the site in the 12 weeks ending December 17th. 59% of the visitors were aged 25 to 44. As far as US statistics are concerned, California and Texas are revealed to be the most social media aware states, with the highest number of visits to social networking sites and forums. When it comes to Pinterest on the other hand, the site, while having a strong social media element, strays from the general statistics. 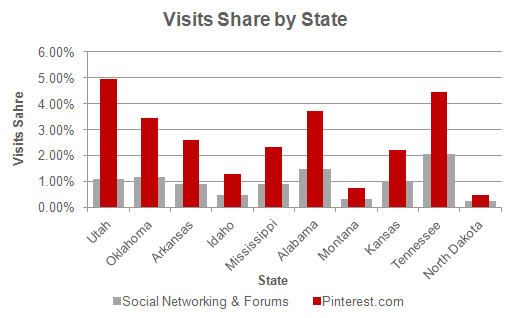 Pinterest receives far more interest from the North Eastern states, with Utah, Tennessee and Alabama proving to be far more Pinterest-friendly, preferring it over other social networking sites such as Facebook and YouTube. 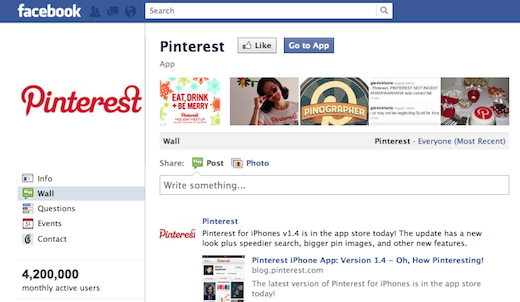 These impressive statistics on Pinterest’s parts aren’t all that surprising. According to its Facebook page, in just a year and nine months since its launch, the site now has over 4 million active users. With the occasional comparison to Tumblr, it’s worth putting these statistics into context. 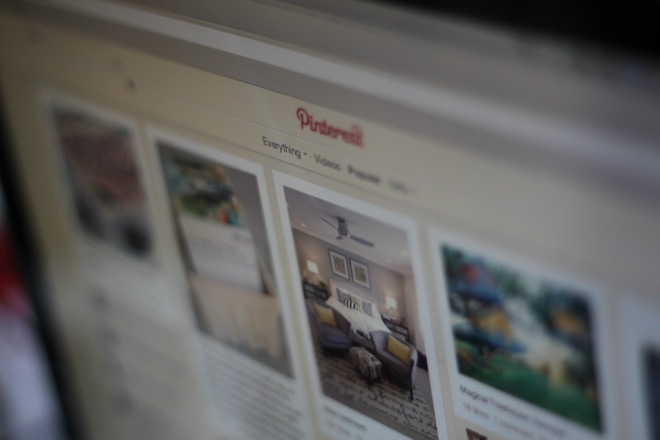 Tumblr has over 38 million blogs, but the site does have a 3 year head start on Pinterest, and users are able to open multiple blogs under one account. Pinterest has also just updated its iPhone app, with new features including larger images in your feed, faster search, better iOS 5 compatibility, the ability to save images to your camera roll and more. If you’ve just joined Pinterest and are looking for a few accounts to follow, be sure to check our list of 10 profiles you want to follow.